His Story: Tango was found stray and unclaimed. No responses from his chip is neutered and vax'd. 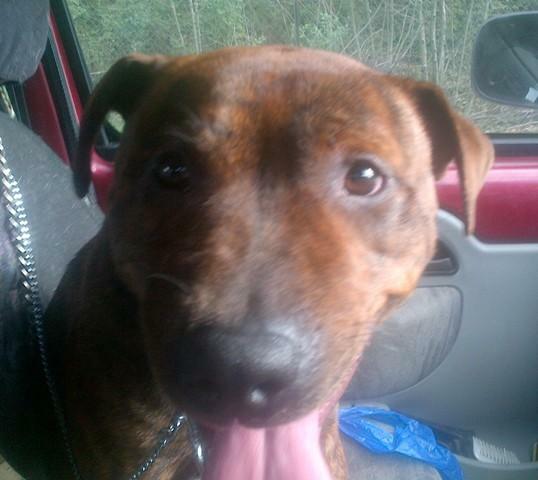 Tango is a orange brindle Staffie x who is about 2 years old. Tango as my travel passenger a joyful boy once he began to realise he was free and safe.